Is Justin Timberlake the biggest celebrity to have graced Wimbledon this year? Someone needs to fill up that seat. Dressed casually in a jeans, black T-shirt and granddad cap, Justin was there to support his friend Andy Roddick in the third round clash against Jurgen Melzer. Roddick dropped the third set but eventually won 7-6, 7-6, 4-6, 6-3. 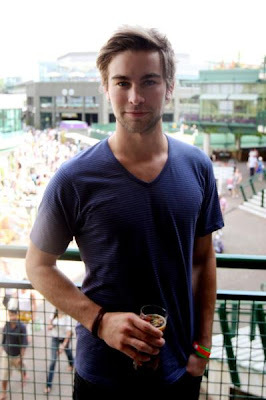 Another celebrity spotted at Wimbledon was Gossip Girl star Chace Crawford.